First of all congrats on your upcoming wedding! 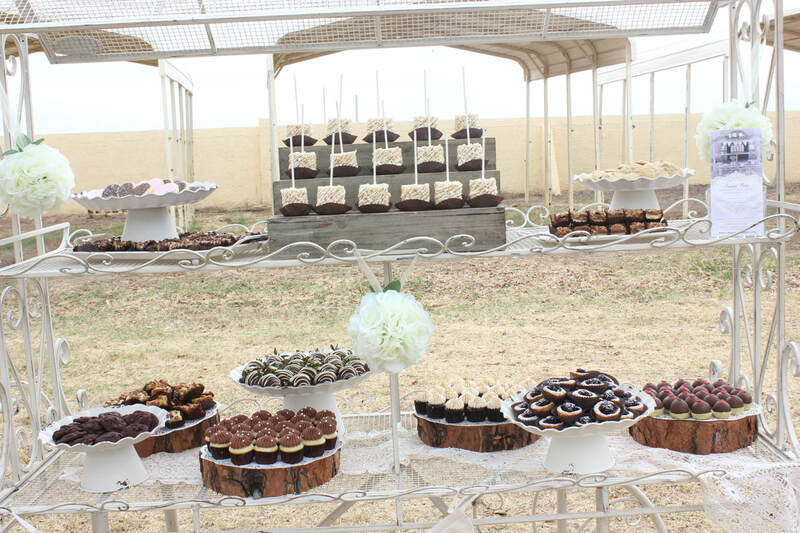 We are delighted you're here and that you are interested in us providing a cake or desserts for your big day! There's nothing more traditional than a cake for your special day! We are here to create the timeless cake you and your guests are sure to love and remember. We offer a variety of styles to fit into a range of styles. 100% of all our cake bases are made with our delicious, creamy buttercream! 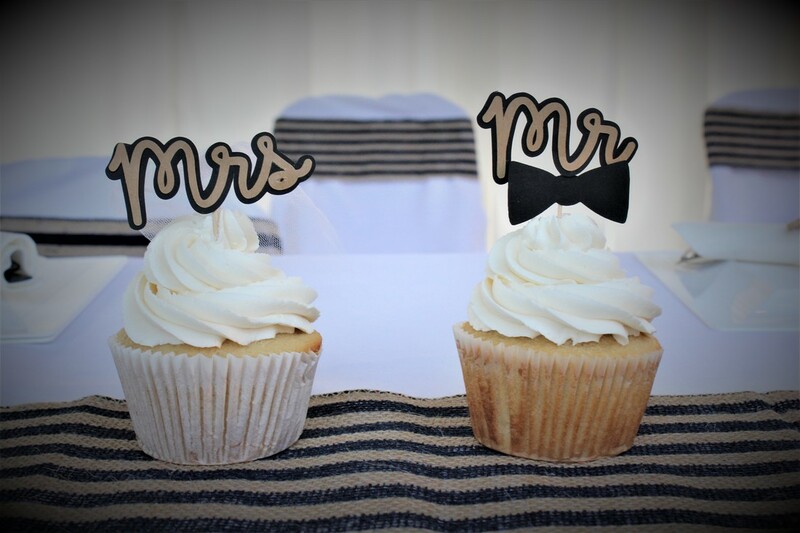 Whether you want to exclusively offer cupcakes at your wedding or maybe you have a large guest list to feed, and you want cupcakes along with a cake - with no cake cutting needed, cupcakes are great alternative to cake for a grab and go dessert. A fun option we've enjoyed creating for our untraditional bride and grooms, is a mixed cookie bar. This could be in addition to a cake or to replace the cake cutting-fuss... because who doesn't love cookies!? 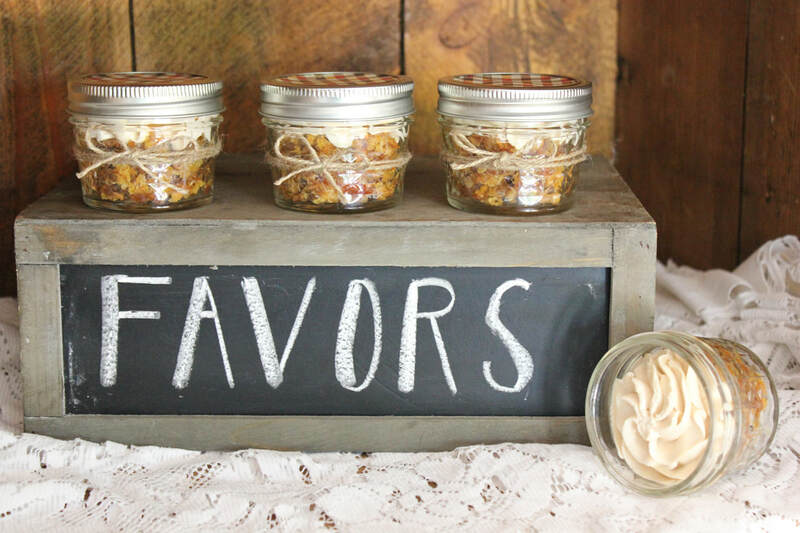 Cookie flavors can be tailored to coordinate with the wedding scheme as well as your favorite flavors! Could wedding pie be the new wedding cake? Time will tell! But we wouldn't be complaining! 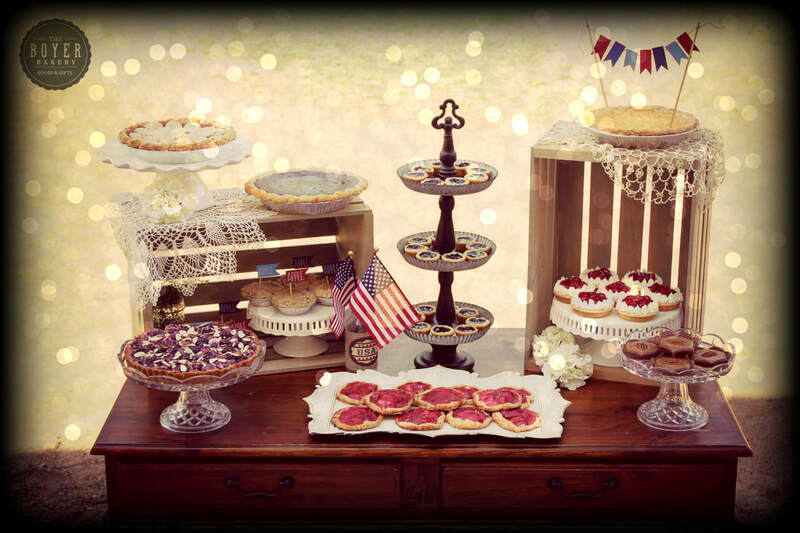 We love the simplistic beauty pie provides to any rustic or vintage event. Mini pies make the perfect portion for your guests with no pie cutting involved! Pies can be made to correlate with the season of the wedding and can be "fancied-up", if desired, with florals, pie picks, etc. ! 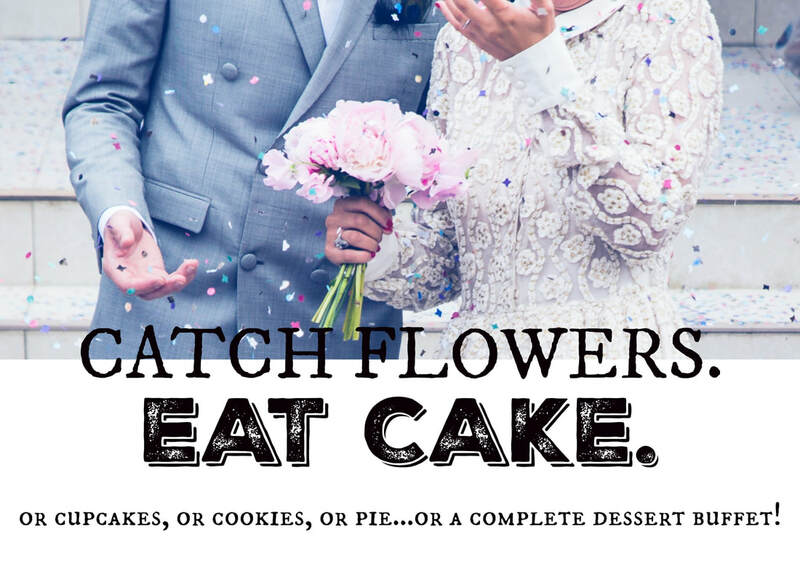 Can't decide on your wedding dessert of choice? Don't worry, you're certainly not alone! Hence our most favorite option yet! Why choose one dessert when you can have a dessert buffet! We offer multiple packages to allow you and your wedding guests to partake in various mini or full-sized desserts, custom-chosen from you! Share your appreciation for your guests attendance of your special day with a sweet gift, customized to your wedding theme and colors. Gifts can be personalized with your initials or guest names. 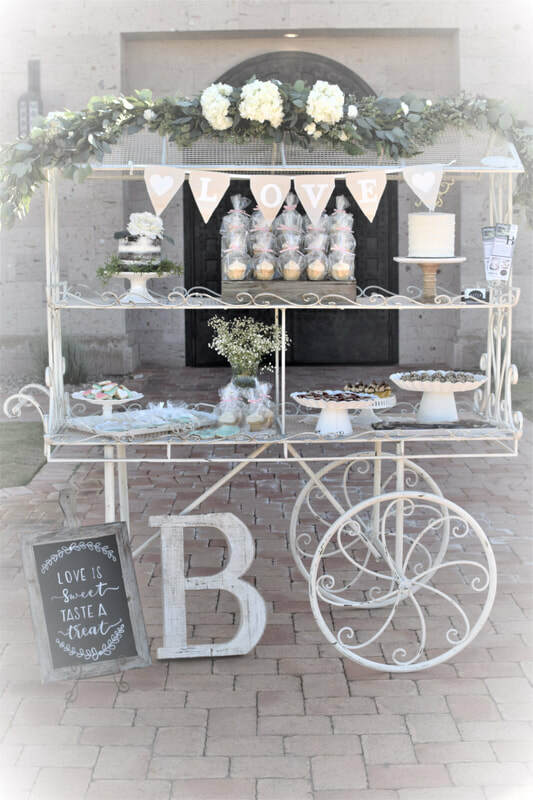 Meet Sweet Bea - our vintage treat cart! Available for weddings, parties and special events. She is a darling piece and she often finds herself the center of attention as she "brings joy and happiness" wherever she goes! She looks her best with an array of treats to adorn her shelves... Good thing she is acquainted with some great bakers! 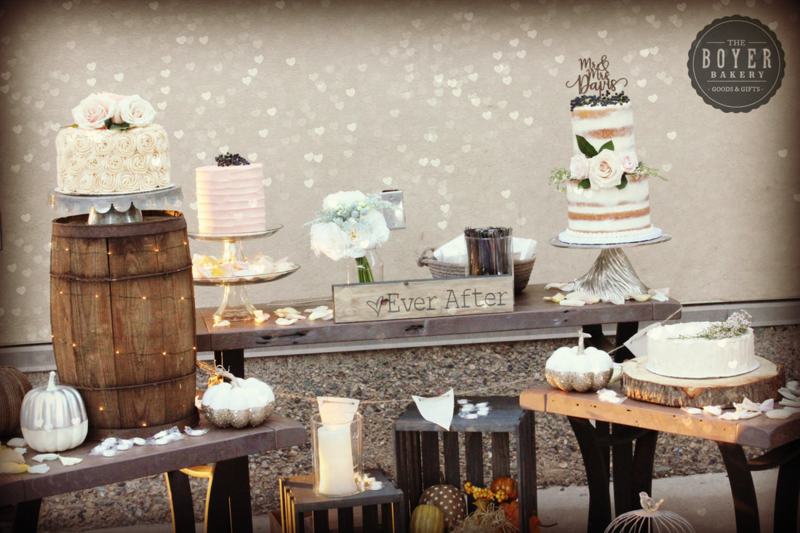 ​She can be filled with a custom assortment of desserts to fit your taste and style desires or rent her a la "cart."